Montiff Super-Sports Amino Acids formula makes a great anabolic supplement for you if you are a body builder OR a more moderate athlete who just wants to have a better workout and build more muscle. Among the Amino Acids in this fine-tuned proprietary formula are Ornithine Alpha Ketoglutarate, Arginine HCL and L-Carnitine Fumarate. has clearly improved our anabolic capacity. In my case, weights that felt heavy and with which I could only do one set of 10 reps, now feel much lighter and I can do four sets! 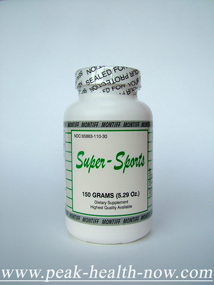 Montiff Super-Sports: A powerful blend of the following 16 highest quality L-Crystalline singular amino acids, plus Creatine Phosphate, Di-peptide L-Alanyl-L-Glutamine, precursors, and antioxidants Co-Enzyme Q-10, and Alpha Lipoic Acid. L-Lysine HCL, L-Leucine, L-Glutamine, L-Arginine HCL, L-Isoleucine, L-Valine, L-Alanine, L-Tyrosine, L-Threonine, L-Phenylalanine, L-Carnitine Fumarate, Glycine, Ornithine-α-Ketoglutarate, L-Histidine, L-Methione, Taurine, L-Aspartic Acid, L-Serine, L-Alanyl-L-Glutamine, Co-Enzyme Q-10, Alpha Lipoic Acid, and Creatine Phosphate. DIRECTIONS: 1 - 3 teaspoons Powder OR / 2-3 Capsules with fruit juice or water prior to workout or sports activity, or as needed. • Enhancing stamina and endurance. • Helping attain and maintain a positive physical athletic image. 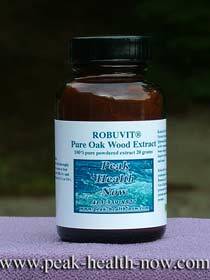 • For those undergoing physical therapy or with degenerative muscle disorders, to help increase protein synthesis. WHY ARE AMINO ACIDS NECESSARY FOR THE ATHLETE? • Amino acids are involved in a number of metabolic functions including protein synthesis. • The amount of protein synthesis that takes place during and after exercise is dependent on a complete compliment of amino acids, including the branched-chain amino acids (BCAAs). • Taking amino acid supplements can increase protein synthesis and the anabolic effects of exercise. 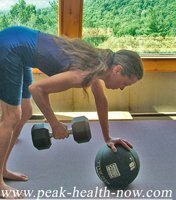 • Exercise also causes a rise in amino acid catabolism. Supplementing before and after the workout provides an additional amino acid pool to optimize the anabolic effects of the exercise. • Growth hormone is important for the athlete, and this GH is effected by various amino acids, including Tyrosine, Ornithine and especially Arginine. • Sufficient amounts of amino acids are necessary for producing insulin like growth factor-1 (IGF-1), which along with insulin (produced in the pancreas by amino acids) increases protein synthesis. • Amino acids, especially Alanine, Glutamine, and Glycine produce glycogenolysis and gluconeogenesis providing the constant source of energy required by the athlete. • Amino acids, Glutamine and Tyrosine are necessary for neurological health and energy. These effect concentration and the production of catecholamines, which convert to norepinephrine, epinepherine and adrenaline. 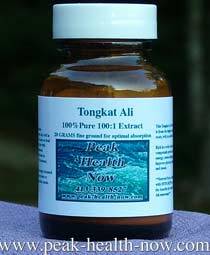 • HIGHEST QUALITY L-Crystalline singular amino acids and other ingredients used for proper utilization and metabolism. • DESICCANT PADS are always included in Montiff’s products to insure optimal freshness. • Branched-Chain Amino Acids (L-Leucine, L-Isoleucine and L-Valine) are included in the proper balance. These amino acids increase protein synthesis and anabolic hormones, while decreasing the amount of protein catabolism. They may also increase energy and aid in repair and recovery, which is important to the athlete during regular physical training. • Glutamine, the most abundant amino acid found in muscle tissue, increases anabolic activity, as well as having beneficial antioxidant and hepatoprotective properties. It helps support muscle hypertrophy, effects growth hormone and testosterone levels, and is important for neurological and gastro-intestinal health. • Arginine (HCL) is important for the athlete in producing GH secretion, and stimulates insulin, leading to anabolic and anticatabolic effects on skeletal muscle. 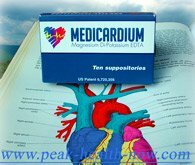 It helps increase lean body mass and strength and has an important role in nitric oxide production, which is important in cardio-vascular health and in preventing hypertension. • Taurine is the second most abundant amino acid in muscle tissue after glutamine, and it influences the anabolic process through the control of the ionic flux and effects on osmoregulation. It has many other important roles in the body including antioxidant properties, balances and stabilizes minerals, and has a protective effect on joints. • Tyrosine is important for proper chemical balance of the brain, and depletions have been associated with depression and memory deficiencies. It is essential for production of catecholamine neurotransmitters, producing norepinephrine leading to adrenaline production. It is the precursor for the hormone thyroxine from the thyroid gland, and growth hormone (GH) from the pituitary. • Glycine is a glycogenic amino acid, and is an important constituent of collagen, increases GH, and is necessary for neurological health. • Methionine has many functions in the body, including increasing protein synthesis and is essential in the formation of creatine. • Creatine Phosphate is the major phosporylated compound in muscle tissue, and is important for increasing lean body mass, strength and stamina. • Alpha Lipoic Acid is an important antioxidant combating “free radicals” that occur with physical exertion, and protects the liver against toxins. CO-ENZYME Q-10 is also an antioxidant and is important for cardio-vascular health. • Ornithine-α-Ketoglutarate is a powerful compound and is the precursor to Arginine, Glutamine, Proline and Alpha-Ketoisocaporate, as well as making the branched-chain amino acids. It has an effect on insulin and GH, and is important for protein synthesis. • Lysine is an essential amino acid and it has an inhibitory effect on viruses, such as the herpes virus. Low levels can slow protein synthesis and effect muscle and connective tissue health. It is important to be in the proper balance with Arginine. 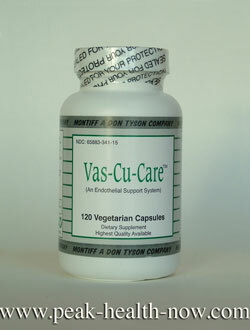 • Threonine is generally low in vegetarian diets, and is lacking in other diets as well. Low levels may interfere with proper protein synthesis. • Histidine converts to histamine and is a powerful vessel dilator. It has a direct effect on the central nervous system. • Aspartic Acid has affect on reducing toxic ammonia levels in the urea cycle, which becomes high during intense physical exertion that athletes undergo during regular training. 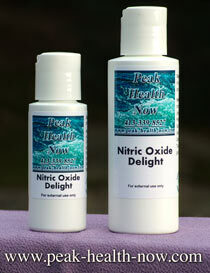 This eliminates the fatigue caused by ammonia, allowing for increased stamina. • L-Alanyl-L-Glutamine is a unique di-peptide, which quickly breaks down and produces energy, as well as helping to support muscle hypertrophy. • Di Pasquale, Mauro, M.D., “Amino Acids and Proteins for the Athlete. The Anabolic Edge”, 1997. • Phillips, Bill, “The Sports Supplement”, 1998. • Tapan,K.Basu, et al, “Antioxidants in Human Health and Disease”, 1999. • Parker, L. and Tritschler, H.J. “Alpha Lipoic Acid-the Metabolic Antioxidant”, Free Rad Biol, Med., 1996. • Biolo G., Tipton K, Klein S., Wolfe RR, “An Abundant Supply of Balanced Amino Acids Synergistically Enhances Protein Muscle Anabolism After Exercise.” APStracts, 1997. How to be Sure to Get the Freshest, Most Potent Supplements!